I guess those interested in *carefully* equalizing the low-frequency drop-off aren't those planning to use the Mysphere for listening at excessive loudness levels. All they care about is the relation between low-frequency extension and the resulting increase of harmonic distortion. Do you by chance have the corresponding THD values to the above list? Make it really sense to discuss THD levels of Sound in the range of 120dbSPL? ruhenheiM, Dobrescu George and Matrix Petka like this. Below the excursion is not less, but the SPL reduce because the air has to be accelerated at the same level if the same SPL is wanted. This lead to the fact, that if additional EQ is used, the max. excursion will be exceeded once. So additional EQ-ing at very low frequencies is fine, but not when high SPL is wanted. The be sort of a Sonoma with all the advantages of a (trans)portable Mysphere is not a bad sweet spot to be in. Perhaps you could introduce the 3.2 and its purpose for general enlightenment! No, Heinz! Like others (as it seems) I'm just interested in the distortion figures after equalizing down to 20 Hz at normal listening levels. To explain my concern a bit further: My HD 800 responds extremely well to equalizing, which effectively lifts it two classes higher. The same doesn't seem to apply for the HD 800 S according to Inner Fidelity's Tyll Hertsens – due to its higher THD level at low frequencies reaching up to ~7.5%, and this at 100 dB (!). So the Mysphere with its THD of almost 10% at ultra-low frequencies already at 90 dB (!) is a candidate for being less suited for equalizing the lowest octave. Of course I'm hoping for the opposite. 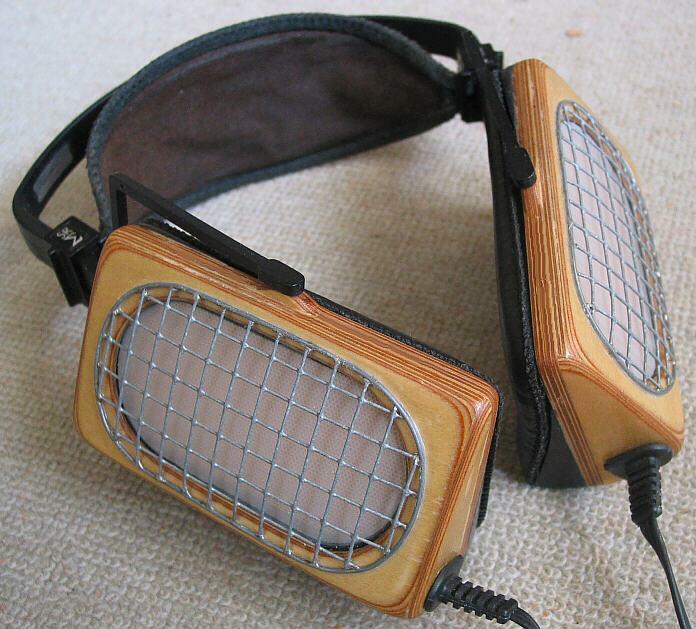 In any event I'm convinced that it will be a fine headphone with unique qualities either way. To explain my concern a bit further: My HD 800 responds extremely well to equalizing, which effectively lifts it two classes higher. 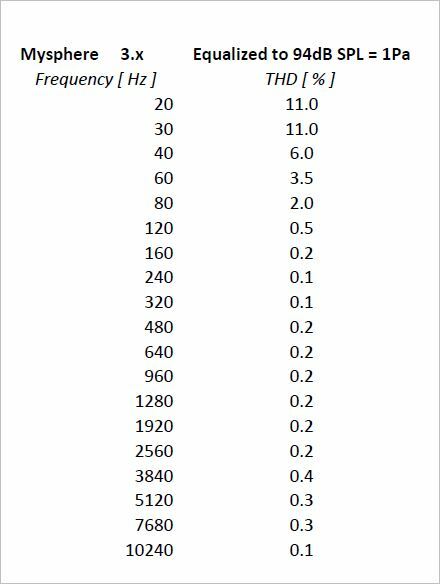 The same doesn't seem to apply for the HD 800 S according to Inner Fidelity's Tyll Hertsens – due to its higher THD level at low frequencies reaching up to ~7.5%, and this at 100 dB (!). So the Mysphere with its THD of almost 10% at ultra-low frequencies already at 90 dB (!) is a candidate for being less suited for equalizing the lowest octave. Of course I'm hoping for the opposite. BUT: As others already wrote, Human do not recognize distortions well coming from low frequencies....That's just a reminder that those effects should be tried and not interpreted potentially wrong using tables only. Also it's big difference if we talk about K2 or K3 because: asymmetric distortions does not pain human much (example a violin), but symmetric distortion are not welcome and mostly annoying. 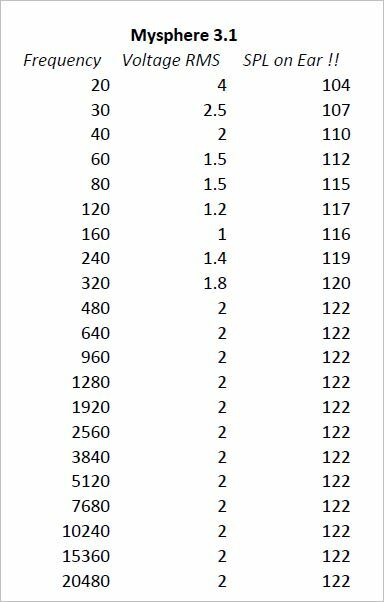 I create a table applying using Mysphere 3.1 the requested voltage so, that at all frequencies on the artificial ear it reach 1 PA (~94dBSPL] - the corresponding K2 + K3 will be listed. Would this be fine for you? ruhenheiM and Dobrescu George like this. Yes, Heinz, and that's more than I would have expected. And to make it clear: My concern shouldn't be read as a criticism – far from it! I absolutely understand the technical and physical problems of a completely open system like the Mysphere, as well as the advantages. Please understand that this list of voltage shows only the capability of Mysphere to be applicable to play in a technical safe mode for the product. This voltage does not mean to be applied for any long listening session because of potential hearing damage! I am astonished that the lowest permissible input voltage is at 160Hz. But if one stays at 105db peak levels (close to maximum at a classical concert) one could could get pretty much a flat frequency response to below30Hz! That is much better than most loudspeakers and no room frequency dips! So, Yes we are happy with the result as it sounds clean and correct, but we shall be fair to speakers at the same time. I am very interested in speakers and I am developing my own drivers (bending wave) and for me it is a more natural way of listening to music but if one wants to really hear the details of a recording good headphones can make that far more possible (and one can find out how many recordings are simply bad). Please give me some time! Thanks, Heinz! It looks good – as if it can be done. Which of 3.1 and 3.2 would match better with Violectric V281 or Woo WA22? But this will need some time. Oh wow I didn't realize we had two models! What are their main differences? 3.2 having bigger impedance of 110Ohm. 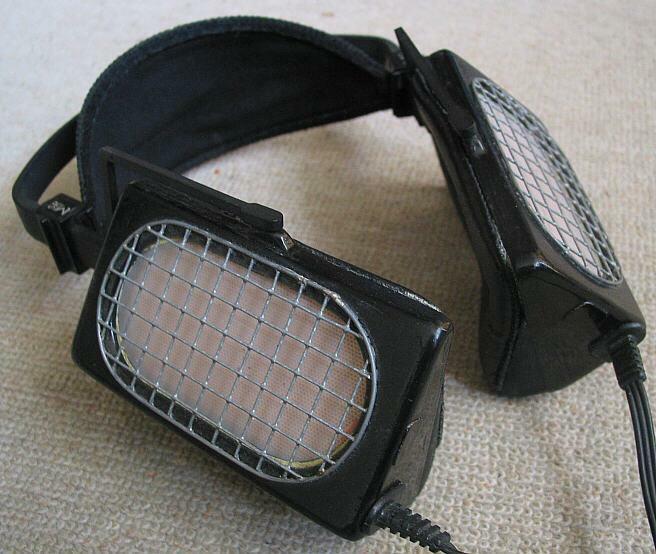 Really good decision for use with good amplification.